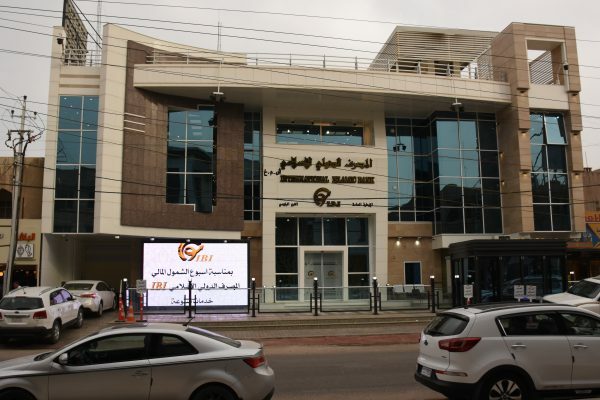 International Islamic Bank was established in August 2016 as a joint-stock company (authorized by Central Bank of Iraq as a Islamic Bank). On start applying International conditions & Terms on Core Banking, AML,KYC & FATCA. Adopting the Islamic Standardization Banks approach for complying the clients needs, considering the society and economy development strategy. The Bank Capital is increased permanently, supporting the investors expectation & services beneficiary. The major aim of International Islamic Bank covering the customers needs , after 1980 many countries encourage the Islamic Banks Method which participate improving the economy , opening new prospects & opportunities for investors and inhabitants. Our role is beginning creation the investments opportunities, balancing the investors and client aspiration & ambition, under the Islamic regularizations approach. Within short period, we start operate many cities in Iraq, covering the main services to our customers ( Personal Accounts , Commercial Account , Personal & Investments Loans, Internet Banking & Mobile Apps , LC , issuing MasterCard …etc ). The Bank Road map comprehends operating the services not only locally, but to be International, and Promoting & expansion investment opportunities are the main strategy. Our Vision to be the premier domestic and international financial services enterprise in providing superior products and services of high quality through innovation, technology and lifelong customers relationships. Our Mission aims continuously providing innovative products and services, growing investments of our clients, while abiding to high ethical and professional standards of conducts. Our plan to maximize shareholders value as well as contribute towards supporting Iraqis objective of strengthening ties with regional and international financial markets.